These were the words of heavyweight champion Mohamed Ali, a phrase which he borrowed from anti-war protests during the 1960s. Ali pushed boundaries for a professional athlete, making controversial and political statements without regard for what others thought of him. The champion commented on a variety of social issues, including the Vietnam War and perhaps more importantly race relations. And to think that Americans lost their minds over a now unemployed quarterback kneeling during the national anthem. "I do have a problem when people in this country don’t respect our flag and national anthem…All you got to do is look around-this country’s getting worse and worse and more and more immoral, and we’re rotting from within." But Bradshaw himself has said that America is the only nation that allows people to “speak their mind.” But the moment someone – particularly athletes and celebrities - make controversial racial or political statements, we call for their politics to remain out of the public spotlight. Our country is getting worse and worse, but not in the way that Bradshaw thinks it is. When it comes to race relations, we’ve created the ultimate safe space. In the same breath that we praise our constitutional right to say what we want and feel, we turn around and chastise any sort of politically charged rhetoric on television. If we want racial discourse that is productive and avoids political correctness, there are two key viewpoints we have to embrace. First, we have to destabilize some of the safe spaces we’ve created for ourselves. Even for those who might be on board with Kaepernick’s message, their first instinct was to criticize the time and place of his protest. The issue here is not the time and place, but rather the fact that viewers at home automatically felt discomforted because Kaepernick’s actions seemed “offensive” to them. Kaepernick’s statements, however, had absolutely nothing to do with veterans or troops- in fact, he even received some support from veterans via Twitter. The concerning aspect of safe spaces and political correctness is that it has wiped out the grey space that is often needed in productive discourse. Everything must be black and white – if someone says something we disagree with, our first instinct is to assume that it is a personal attack at us or a group of people that we care about. Safe spaces have blocked our ability to listen to what others are saying. Thus, secondly, we must learn to listen. We must train ourselves to not assume the worst when we face disagreement. Even for those who believe that race relations are no longer an issue, Kaepernick’s message should be relatively innocuous. It was never meant to be a slight on veterans, and perhaps if media and sports figures weren’t so quick to assume the worst because of their own predispositions, our conversations regarding race relations would be far more substantial and less rhetorically charged. Some might still say that political rhetoric has no place in sports (or awards shows, another medium that has become a platform for highly contentious social and political rhetoric). But with an open mind, this kind of political rhetoric shouldn’t be so controversial, especially since it’s explicitly calling for the support of a group of people, rather than putting another group of people down. It’s also concerning that it seems that in the minds of some, there is never any proper method, place, or time to protest. Either the protest is mistimed, misplaced, too aggressive, or too soft. Perhaps our discourse should shift to the actual messages rather than how they are facilitated. 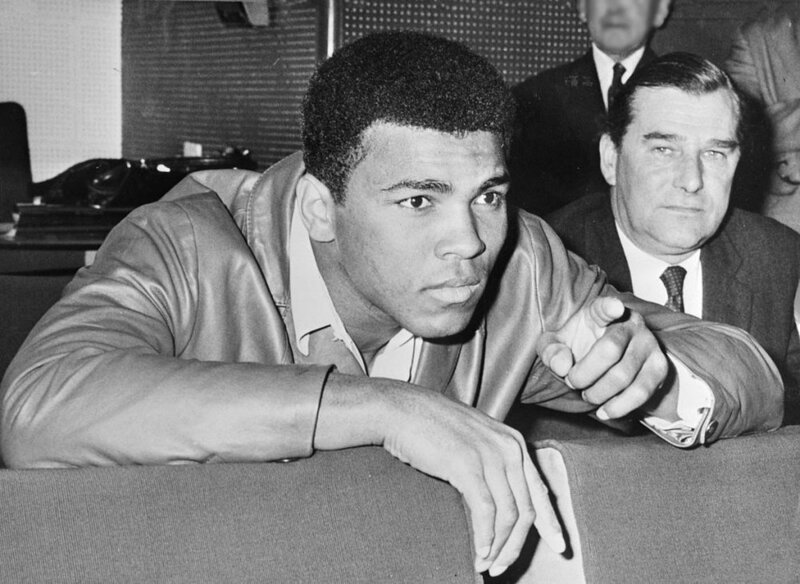 Mohamed Ali was one of the most controversial sports figures during the 1960s. His rhetoric was far more controversial and perhaps even uncalled for at times. But how we react to this kind of rhetoric is at times more telling than the rhetoric itself. Kaepernick’s actions pale in comparison to those of Ali, and yet our reaction was perhaps just as bombastic as it was during the 60s to Ali’s statements. Only through open-mindedness and a willingness to listen can we tear down the safe spaces that we’ve created and push toward discourse that can play a critical role in solving the most pressing racial issues our country is facing.